Free Admissions, All Are Welcome! 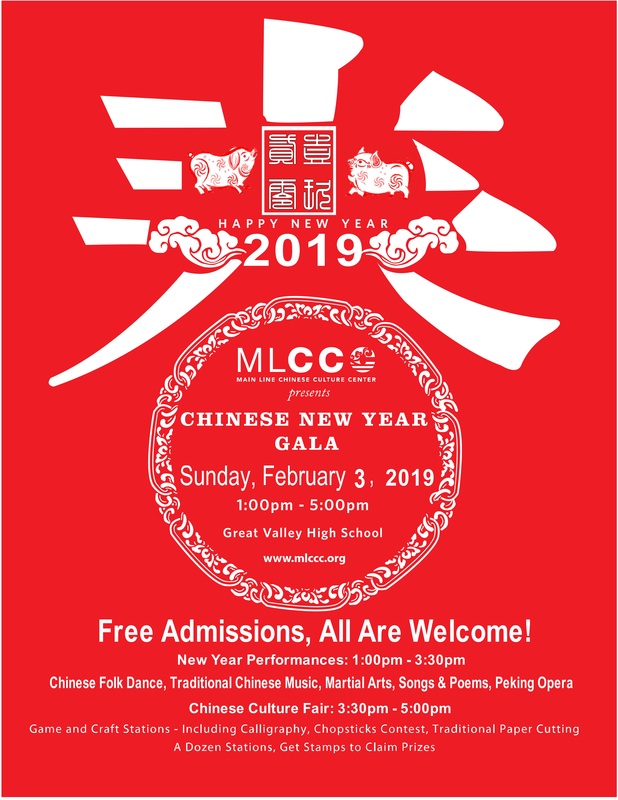 Come and celebrate the Year of the Pig with us at our annual FREE Chinese New Year Community Gala! Bring your family and friends and neighbors! It's a great opportunity of family fun and China cultural experiene! Chinese food, snacks, and merchandise will also be onsite to add to the festivities! "AMAZING job with the Chinese New Year Gala! It was phenomenal! My Daisy Girl Scout troop REALLY enjoyed themselves and learning more about Chinese culture. Amazing job- start to finish! What a wonderful WONDERFUL event! Thanks to everyone for all of your hard work and for putting on such a successful event!" "Thank you for a lovely festival! I loved the teachers' fan dance, the martial arts demonstration, and the poster display in the cafeteria."